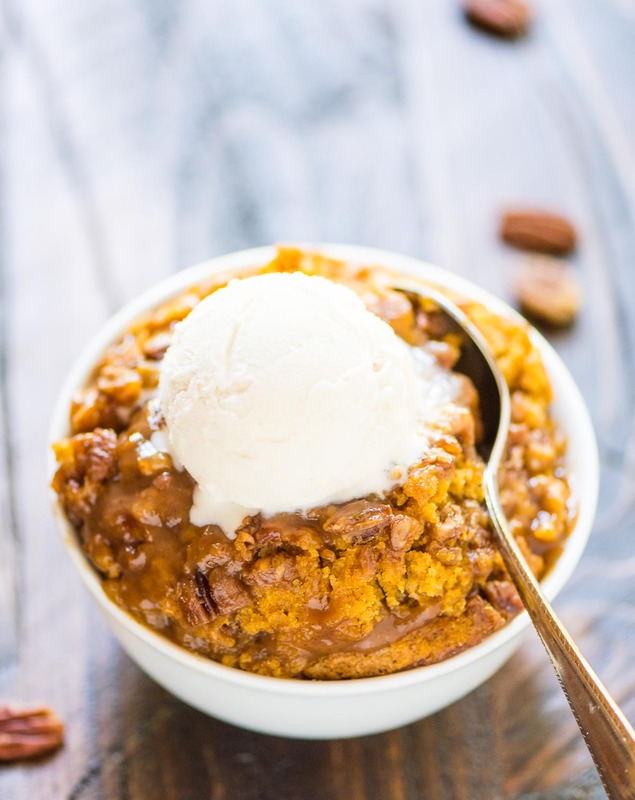 You’ve probably had pecan cobbler before, but since Fall is right around the corner, you’ve got to try this festive spin on the dessert! 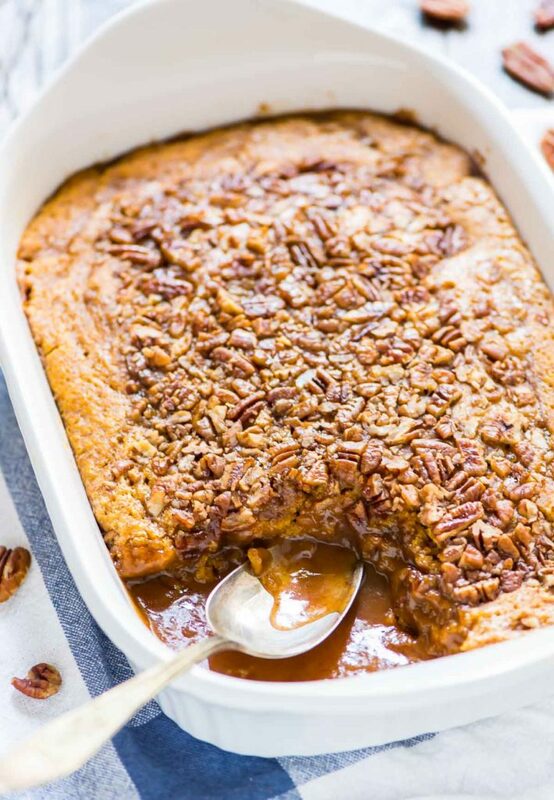 This Pumpkin Pecan Cobbler will not only get you ready for Halloween and Thanksgiving, it has its own scrumptious caramel sauce, too! Yum! First, preheat the oven to 350 degrees F. Then lightly coat a 2-quart casserole dish with cooking spray and set aside for now. Whisk together the all-purpose flour, pastry flour, baking powder, salt, granulated sugar, cinnamon, ginger, nutmeg, and cloves in a medium-sized bowl. Set this aside too. Next, stir together the pumpkin, milk, melted butter, and vanilla in a smaller bowl or large measuring cup to combine. Pour the wet ingredients into the dry ingredients and stir gently. Scrape the batter into the prepared pan, then smooth it into an even layer. 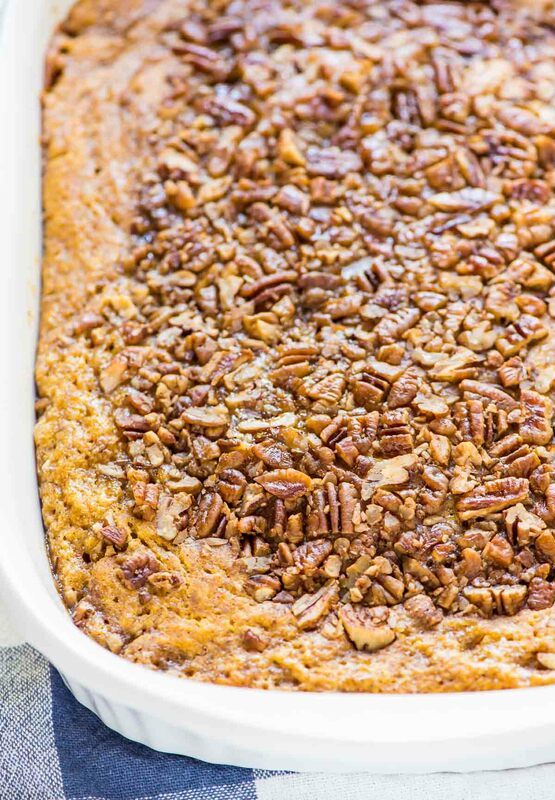 Place this onto a large, rimmed baking sheet, then prepare the topping. Stir together the granulated sugar, brown sugar, and cinnamon in a small bowl until well combined. 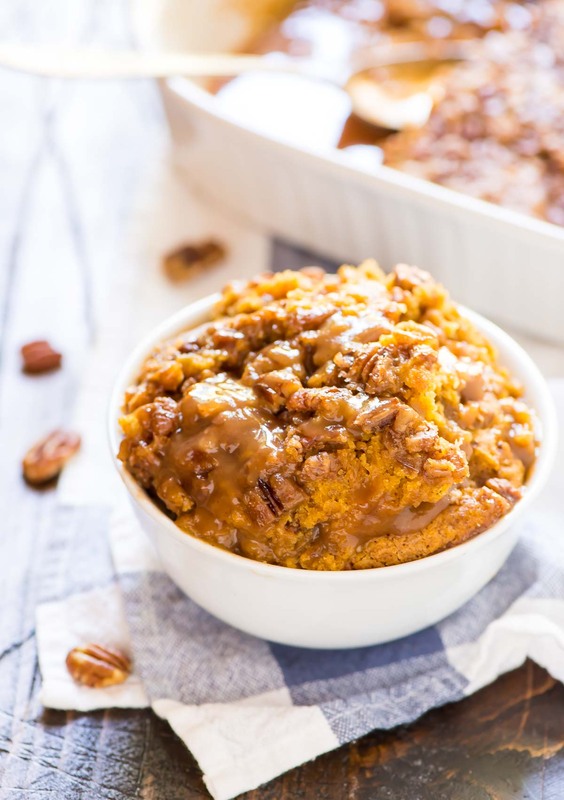 Stir in the pecans, then scatter the topping mixture over the pumpkin batter. Pour the hot water evenly over the top, but do not stir! Next, carefully lift the baking sheet with the pan on top and place it in the oven. Bake for 40 minutes, just until the middle is set. Remove the cobbler from the oven and let it cool for 5 minutes. Serve warm, and top with vanilla ice cream, a splash of heavy cream, or whipped cream. Mmm!